On June 12, 2014, a unanimous Supreme Court ruling claimed that inherited Individual Retirement Accounts are not shielded from creditors in bankruptcy proceedings. 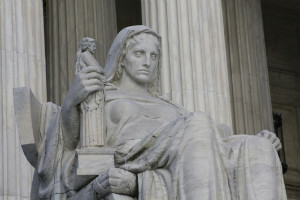 A recent Supreme Court ruling lessens IRA bankruptcy protections. On June 12, 2014, a unanimous Supreme Court ruling claimed that “inherited Individual Retirement Accounts” are not shielded from creditors in bankruptcy proceedings. This decision is slated to clear up confusion about the status of unspent IRAs that parents leave to their children. The ruling comes from a Wisconsin case where a couple declared bankruptcy yet wanted to prevent creditors from going after a $300,000 IRA that was inherited from a passing parent. Previously, bankruptcy law typically protected retirement assets from the reach of creditors. This latest ruling is only the most recent that affects baby boomers, inheritance, assets and the like. Let’s take a step back to review rulings that can help advisors grow their practice. First, let’s return to February 2010, and an Urban Institute report titled “Will Health Care Cost Bankrupt Aging Boomers?” The report found that rising health care costs pose a significant threat to boomers’ retirement security. These include out-of-pocket expenses related to premiums, deductibles, copays and holes in Medicare for all adults age 65 and older. Median annual out-of-pocket costs between 2010 and 2014 for Americans age 65 and older will more than double, from $2,600 to about $6,200 with nearly 1 in 10 older American’s spending more than $14,000 per year on health care in 2040. For adults age 65 and older real median sized-adjusted household income will increase more slowly, from $26,800 in 2010to $34,600 in 2040. Older American’s out-of-pocket health care spending will consume 60 percent of their real household incomes between 2010 and 2040. More recently, a study done by the American Bankruptcy Institute’s ABI Journal found that baby boomers were disproportionately represented in bankruptcy proceedings. The steepest increase in Chapter 7 filings occurred among people older than 55. As we fast-forward again to this latest ruling in Wisconsin, think of it this way: This ruling may present an opportunity for advisors to bring adult children into the fact-finding conversation when doing retirement and estate planning with clients. Also, it brings to the table the real-life events affecting families while providing an opportunity to offer a wider protection for clients and their families. This can be accomplished while building-in future wallet share of generation households surrounding lifestyle issues that are becoming more common than uncommon. So, rather than looking at the glass as half full or half empty maybe this ruling will allow “ice” to be added to the glass, showing advisors insight and professionalism in protecting clients best interest.